We focus on real-world challenges concerning health, energy, the environment, materials, and renewability. 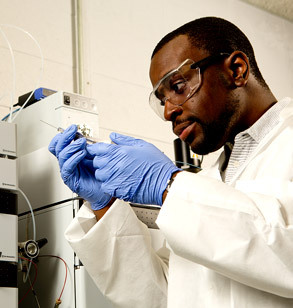 You’ll use state-of-the-art instrumentation as you gain valuable research experience. 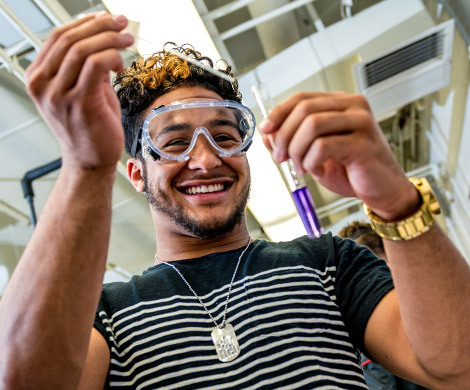 In biochemistry and chemistry, you'll do exciting research as you work closely with professors whose number-one goal is to see you succeed. And, you'll get hands-on experience in our state-of-the-art labs starting your first year. 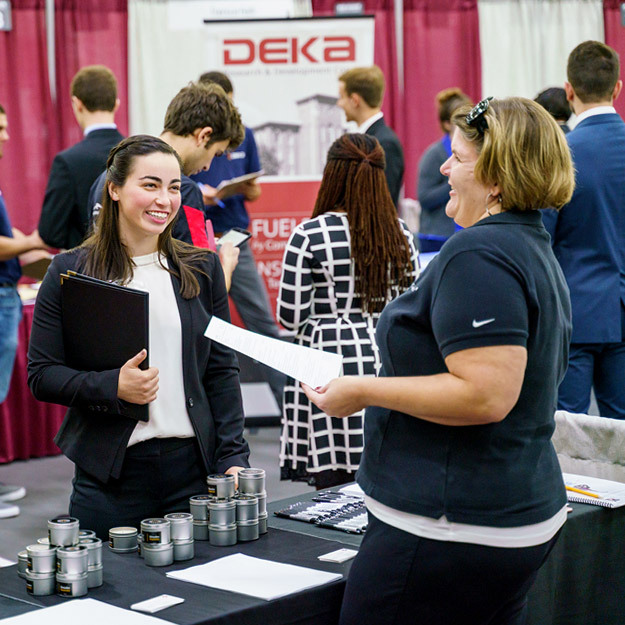 Our 2018 grads had nearly 100 percent career placement soon after Commencement, thanks in part to the real-world experience our professors bring to the classroom from professional experience at companies such as Eli Lilly, General Motors and Honda. 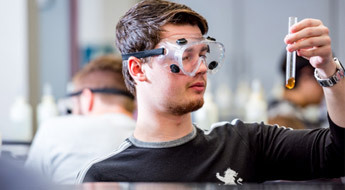 Chemistry and biochemistry also offer an excellent pathway to medical school. 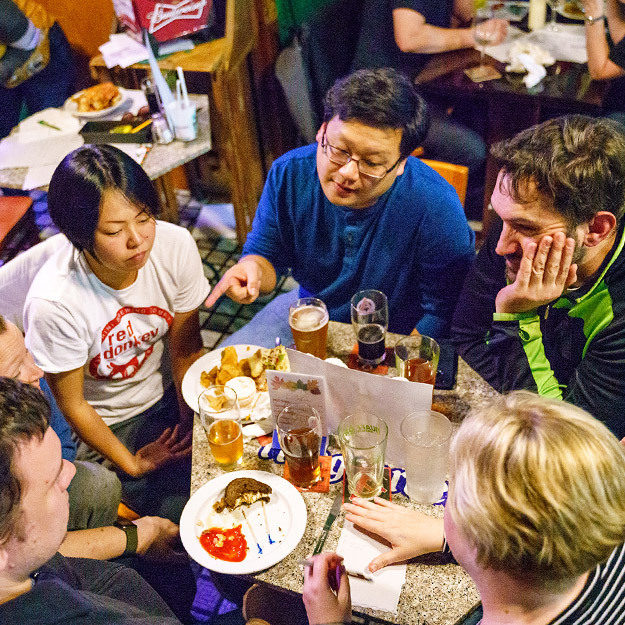 Because here, you'll do real research driven by your interests with awesome professors. 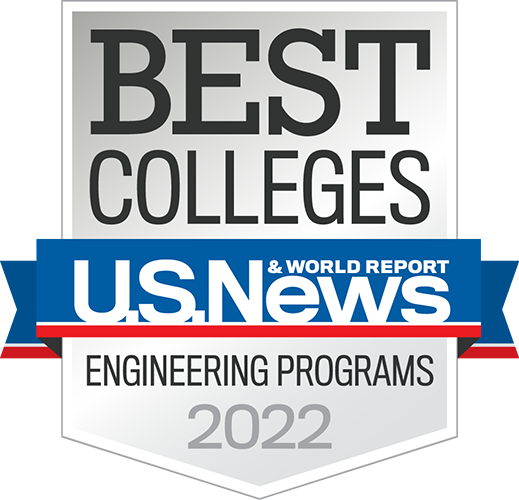 We offer multiple options for an entering freshman that provide a solid foundation in chemistry and exposure to many disciplines. You can major or minor in chemistry, or major in biochemistry. 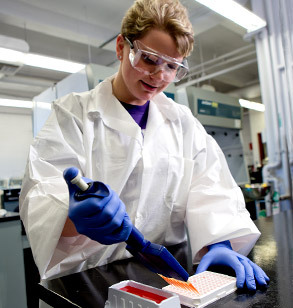 Additionally, chemistry majors can select biochemistry-molecular biology as a second degree. 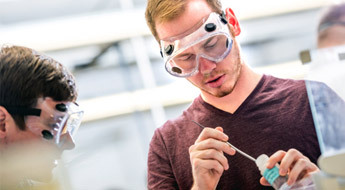 If you love hands-on learning, you'll love biochemistry at Rose-Hulman. You'll work closely with faculty and other students on exciting research, preparing you for medical school, grad school or the professional world. A chemistry degree is excellent preparation for medical school and related fields, or careers in business, law, forensics, or education. 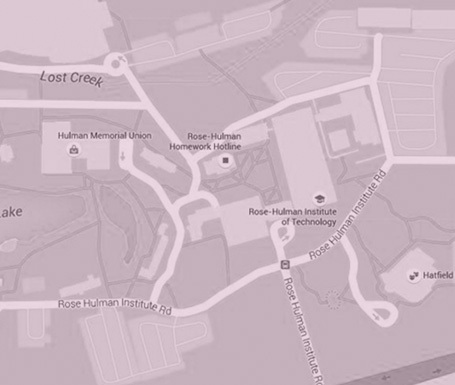 The Rose-Hulman biochemistry & molecular biology program is available to students as a second major and is meant to augment other majors. You'll be in the lab early and often, working with faculty mentors who are passionate about seeing you succeed. 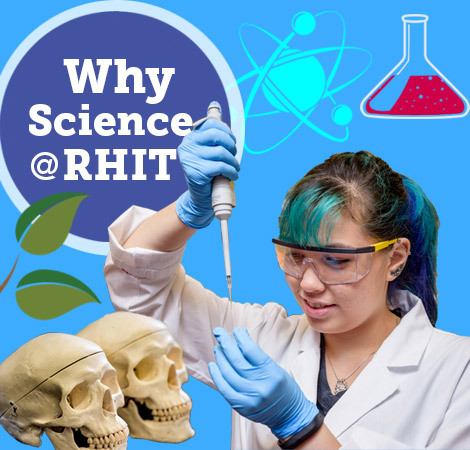 You’ll have plenty of opportunities to work in our recently renovated facilities, including a modern biochemistry research-teaching lab, three research labs, fully equipped organic and freshman labs, and an instrument facility. In the lab, you’ll use equipment such as our Varian Gemini 300 MHz and Anasazi 90MHz Nuclear Magnetic Resonance devices, a Shimadzu GC-2010 Gas Chromatograph-Mass Spectrometer, and High Performance Liquid Chromatography. 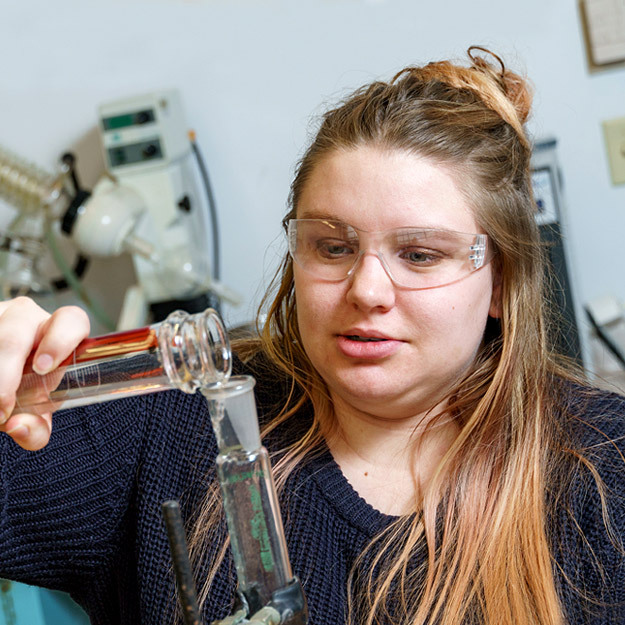 Our fully equipped labs andcomplete stockroom staffed by full-time technicians will give you hands-on experience and undergraduate research opportunities. 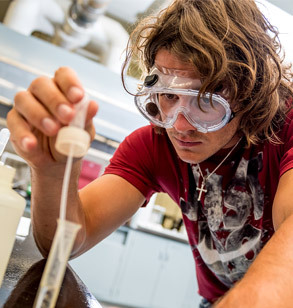 Learn about the latest happenings, recent research, and more in chemistry and biochemistry at Rose-Hulman. Because chemistry touches every aspect of human life, your career opportunities are limited only by your imagination. From academia, research, and medicine to consumer goods, government, analytical laboratories, museums, and software publishers. 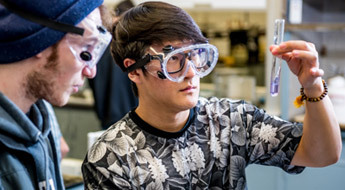 Biochemists use knowledge of chemistry to find solutions to biological problems, tackling some of the world’s most pressing challenges and enhancing quality of life. 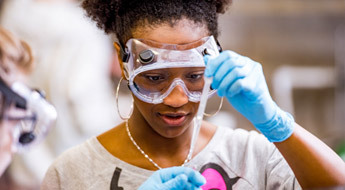 Some biochemists work in a clinical setting to help diagnose diseases, while others may focus on forensics or research. 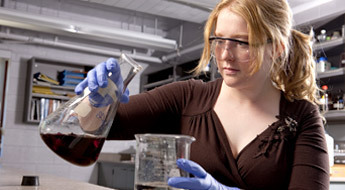 Product development scientists work in many different industries, ensuring their organizationmeets government regulations for safety and quality, or developing and enhancing products to meet customer demands. They may find themselves developing new flavors of their favorite food products or helping ensure the safety of cosmetics. Every day, researchers are using chemistry to unlock new clues in the search for a cure, and reaching discoveries that enable better treatment options and allow patients to live longer.Cancer researchers may use genomics to determine patient risk, or develop immunotherapy methods that allow patients’ own immune systems to fight the disease. 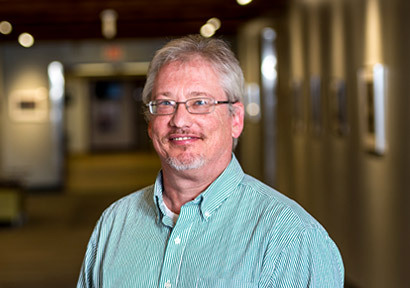 Dr. Mueller’s current research focuses on combustion chemistry on biofuels in terms of corrosive issues, lubricity, and emissions; and a computational research project that combines reactant and intermediate structure to calculate rate constants for organic reactions.